UPDATE 4/3/18: Beginning April 8, Ferrytale Fireworks: A Sparkling Dessert Cruise will boast new, magical décor aboard the ferryboat in order to enhance its fireworks theme. 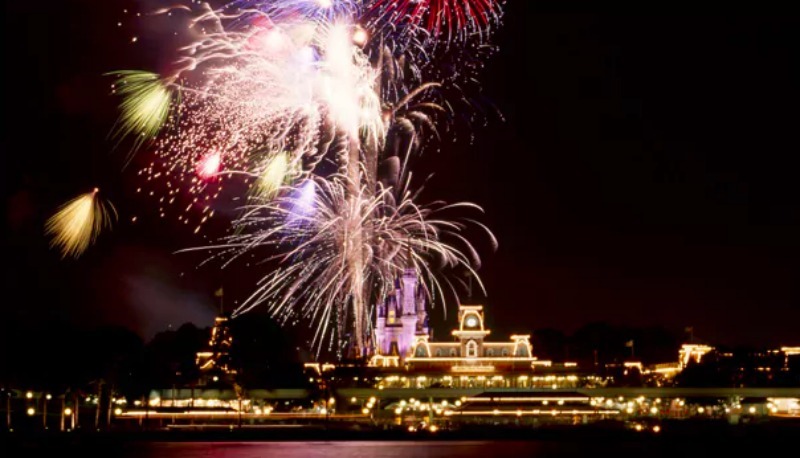 In addition to the popular ultraviolet scavenger hunt for younger sailors, a strolling magician will welcome guests onto the ferryboat while they wait for the fireworks to begin. Additionally, the signature menu will feature a new selection of specialty desserts such as cheesecake bites, cherry pie tarts, and a warm s’more brownie skillet. Firecracker Fizz and the Grand Finale are the highlighted beverages aboard the ferryboat, joining the wide selection of beers, wines, and soft drinks already available. On Fridays and Sundays from April 8 through June 29, 2018, the iconic double stacked ferryboat will once again be magically transformed into a ‘ferrytale’ vessel where guests can enjoy specialty desserts and beverages then finish off the evening with a viewing of Happily Ever After fireworks over Magic Kingdom Park from a unique vantage on the Seven Seas Lagoon. Reservations are required and can be made either online or by calling (407) WDW-DINE. This experience must be paid in full at the time of booking and is available for $99; $69 ages 3-9, per person, including tax and gratuity. Annual Passholders and Disney Vacation Club Members can receive a 10% discount.